How to identify if someone has post-traumatic stress disorder? And are post-traumatic stress disorder signs easy to identify? 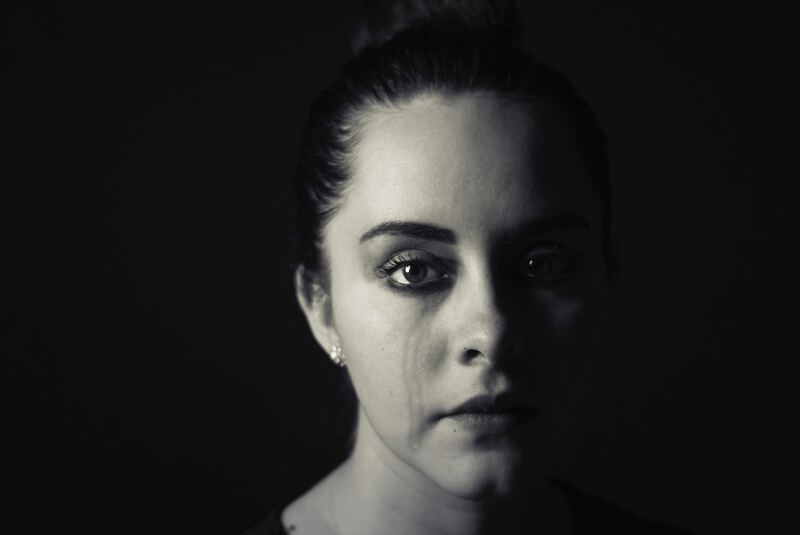 Post-traumatic stress disorders (PTSD) occurs when a person experiences or witnesses a traumatic event that leaves a strong impact on their memory and psyche. There is not a list of definable events that can lead to PTSD and in a handful of people that experience or witness the same traumatic events only some may end up having PTSD and others may not. Some events that are often linked to PTSD are war/combat, natural disasters, bereavement, financial crisis or sexual assault. It is not often that the person suffering from PTSD recognises their symptoms and seeks help, so it leads to the question, how to identify if someone has PTSD? It is most often characterised by severe anxiety, intense flashbacks or uncontrollable thoughts and nightmares. This explains why people with PTSD live under constant fear and threat and may have what appears to be an irrational reaction to certain triggers, for example a loud thud noise for someone with PTSD post combat. This also explains why people with PTSD strive to avoid triggers and therefore may avoid socialising or leaving the house and may present with flat affect and lose interest in their usual hobbies and interests. Although these signs may seem obvious, these symptoms alone do not confirm a diagnosis of PTSD and it must be made by a medical professional. There are some other signs, some may be argued to be less obvious, that occurs in those that experience PTSD such as troubles with short-term memory, you may notice that they have trouble remembering things that were just learnt. Another sign is a difficulty in paying attention. It may seem that they are easily distracted by external stimuli such as noise, flight, music or voices and this makes it very difficult for them to focus and this can affect their performance at work and their relationships. A more obvious sign that I have already touched upon is avoidance of places due to the fear of triggers appearing. Any environment that can resemble the place of the initial trauma can result in extreme feelings of panic, sadness, anger, fear and anxiety. Other than avoidance behaviours, someone that has PTSD may also avoid sleeping due to the distress caused by nightmares and therefore may suffer from insomnia. Having unstable emotions that are mentioned above as well as comorbidities with other psychiatric conditions are not uncommon. There is a substantial amount of overlap between symptoms of PTSD and major depressive disorder, however the high rates of comorbidity have been argued to be a result of the similar diagnostic criteria. Other comorbidities include anxiety disorders and substance abuse disorders. Due to the possible debilitating effects of these disorders, especially in combination, it is very important that you seek help immediately. Finally, someone who has PTSD may express negative thoughts about themselves and others, examples include self-directed abusive behaviour, engagement in high-risk behaviours or lashing out at others. When you care about someone who suffers from PTSD, it can be difficult and frightening but making them get help resulting in a possible diagnosis is not the end. After the diagnosis, there is a long journey of recovery. There may be medication, therapy and a lot of struggles but it is important to know that with your help, it can allow them to overcome this difficult time. Although it seems hard, you must try not to take the symptoms personally as they may not always have control over their behaviour and significant life events may occur such as losing their job or turning to substance abuse. Here are just a few tips on how you might be able to help. You should try and provide social support, such as trying to do normal things with them, be patient and educate yourself as best as you can on PTSD. You can try to be a good listener as the person with PTSD may want to talk about the traumatic events repeatedly, and this at times can be hard to listen to, but if you shut them down, they may choose not to confide in you again. Rebuilding trust is very important as that individual may have an extremely negative outlook and by expressing your commitment to them, talking about the future, encouraging them to join support groups and minimising the stress at home can be life-changing for them. In my opinion, one of the most difficult things to cope with when your loved one has PTSD is anticipating and managing the triggers, especially when some of the triggers are not completely obvious or are internal and as a result you have very little control over this. The best you can do is take time to identify and understand what some of the triggers are and ask your loved one how they have coped with triggers in the past and you may be able to come up with a plan together. It might also help to ask the treating professional for advice on how to deal with nightmares, flashbacks or panic attacks. PTSD UK : www.ptsduk.org – one stop shop for everything PTSD related. SAMARITANS: www.samaritans.org.uk ; 116 123 (free-24 hour helpline) – confidential support for people experiencing feelings of distress and despair. SANE: www.sane.org.uk/support; 0300 304 7000 (daily 4:30 pm-10:30 pm) – Emotional support, information and guidance for people affected by mental illness, their families and carers.